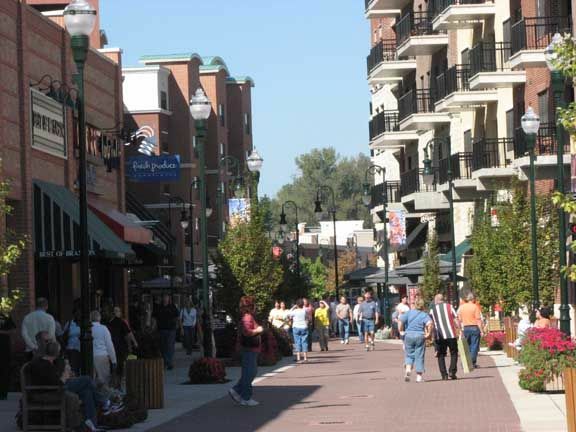 Shopping in Branson is a great time to enjoy as you will find lots of after-holiday sales offered by many shopping centers in Branson. This is the time to take advantage of shopping in Branson as the items that didn’t get sold during Christmas will be discounted. So don’t miss to check out the holiday sales that are offered always by big shopping outlets in Branson. After-holiday sales has a lot to choose from and it gives every shopper the opportunity to buy new stuff for the New Year. If the items you bought during holiday rush are not enough, the after-Christmas sale is the one that you should not miss. Though most after-holiday sales fall between Christmas and New Year, continuing through the month of January, holiday cheer continues to drive them earlier. Whether you delve into holiday sales before or after December 25, here are some particularly good product categories to keep an eye on. Clothing is one of the good product categories to buy after Christmas. Many of the brand names in clothing that are good buys after-holiday sales can be your new stuff for the new year which include clothing items from Nike, Gap Factory, Brooks Brothers, Tory Burch, Nautica, and many more. If you got some gift cards in your bag, it’s probably a great way to spend them at this time. Exercise Gear is worth keeping an eye out if you’re trying to become healthy and athletic for your New Year’s resolutions. Electronic gadgets are the ones to watch where its prices tend to go down after the holiday season. One example is a notable deal for an iPhone 5s for only $150. Camera is another electronic item that stands out as a hot post-holiday buy. Canon offered some of the hottest deals that were seen on both refurbs and new models in early January. You can find refurb lenses starting as low as $49.99 and up to $700 of new cameras. If you can’t buy that new smartphone you wanted under the tree, don’t fret. Although only a few smartphone deals are Editors’ Choice, prices didn’t stop dropping just because the holidays ended. There are many smartphones that have reached new lows during this period, including the unlocked 32GB Galaxy S6 Edge, unlocked 64GB Nexus 6, and several Apple smartwatches. Don’t miss to check that winter merchandise. Many retailers are trying to clear out sweaters, boots and coats before spring goods come in, so they’ll drop prices even further. If you still want to use a puffy jacket or a cashmere sweater, now is the time to buy it. Just avoid high-end merchandise. You won’t find discounts on items such as Apple electronics, North Face jackets and other luxury brands. Discounts for these items are given before the holidays. When shopping in Branson after-holiday sales, beware of tricky deals. Avoid “buy-two-get-one-free” deals, because you will likely spend an extra dollars for the extra item you don’t really need. If you fall into this deal, you’ve overspent on merchandise that you really don’t need in the first place.